In the framework of the National Congress of the Vietnam Students’ Association yesterday, students expressed their expectation that more financial support should be given to them. At the congress, Deputy Prime Minister Vu Duc Dam and government leaders, competent agencies listened to students’ opinions. 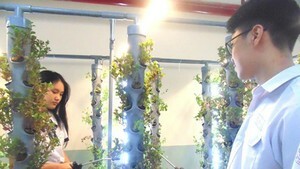 Chairman of Student Association of the National Pedagogy College Do Huu Huan raised question that a student can ask a maximum loan of VND1.5 million ($64.5) a month with interest rate of 0.55 percent while tuition fees in public self-financing higher education facilities are very high in comparison with other peer colleges. Additionally, not self-financing higher education facilities continue increasing annual school fee as per the government’s regulation with annual increase rate of 10 percent. Moreover, yearly cost of living and consumer price Index surge by 3-4 percent compared to the previous year putting financial pressure on students. A student must spend approximately VND4 million, student Huan said. Accordingly, he put forward a roadmap on loan for students in each period including consideration of different loan level for students of different schools. Deputy Director of the Bank for Social Policy Nguyen Van Ly totally agreed with Huan’s proposal saying that it is high time to assess the loan structure for students and loan tenor. The bank will listen to opinions to submit to the government. The congress also talked about social networks which have had great impact on students. Reactionary forces usually take advantage of social networks to popularize information against the government to downgrade trust in the government and the party amongst students. Chairman of the Student Association of Law University student Tran Viet Anh put a question about issuance procedure to carry out the Law on Cyber Security approved by the 14th National Assembly. Deputy Minister Information and Communications Hoang Vinh Bao said the Law on Cyber Security works out on reform management and balance between cyber demand and management to ensure a healthy space to help the country’s growth. Therefore, the government will carefully consider the matter from learning experience of other countries. Presently, the Ministry of Public Security is improving regulations paying attention to violators in abroad. The Ministry of Information and Communications has set up close cooperation mechanism with international service suppliers to ask them remove and prevent information improper with Vietnam’s law. 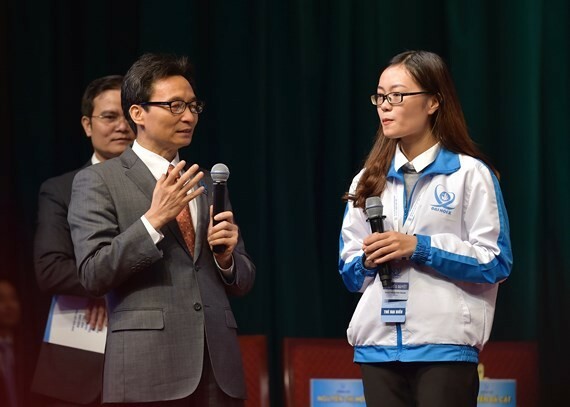 Nevertheless, Deputy Minister Hoang Vinh Bao advised students to distinguish right accurate and false information in social network with families, schools and youth communist unions' orientation in accessing to such information. Upon the project to develop digital knowledge in Vietnam, Mr. Dam said that from January 1, 2019, first application of digital knowledge will be launched. With the young people’s contribution, the knowledge will be used for the sake of the country not for all enterprises. For instance, Vietnam will create better maps than current google map.